It took something monumental to break me out of tennis mode during Wimbledon 2016. I wish it were not so. Hall of Famer Pat Summitt, one of the greatest coaches in basketball history…no, in sports history…passed away at the age of 64 from complications of early-onset Alzheimer’s disease. I never met Coach Summitt. I’ve only ever passed through Tennessee a few times on the way to somewhere else. But as a fan of women’s basketball, I loved Pat Summitt. There have been other pioneers in the women’s game; Cheryl Miller, Nancy Lieberman, Ann Donovan, Tara VanDerveer and Ann Meyers, to name a few. 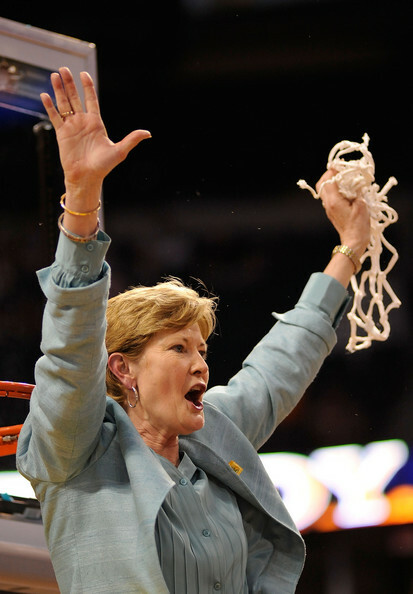 Geno Auriemma (with 11) has surpassed Pat Summitt’s total (8) of National Championships as a head coach. But make no mistake, Pat Summitt was the Babe Ruth of women’s basketball. Others might pass her records. None will surpass her importance to the game. In 1974, as a 22 years old graduate assistant at the University of Tennessee, Summitt ascended to the head coach position after the resignation of the previous coach. This was at a time when women’s college basketball had zero respect. It wasn’t even officially recognized by the NCAA as a sanctioned sport. When people say Coach Summitt built Tennessee into a national power, they literally mean from scratch. No scholarships. No coast to coast national recruiting. No planes or big fancy buses to get to games. Heck, they had to have a bake sale just to be able to acquire uniforms for her players. From nothing, she not only built the Tennessee Lady Vols program, but the visibility of women’s college basketball. In addition to 8 National Championships, she won 16 SEC Championships in both the regular season and the conference tournament, along with Gold (as a coach) and Silver (as a player) Olympic Medals. 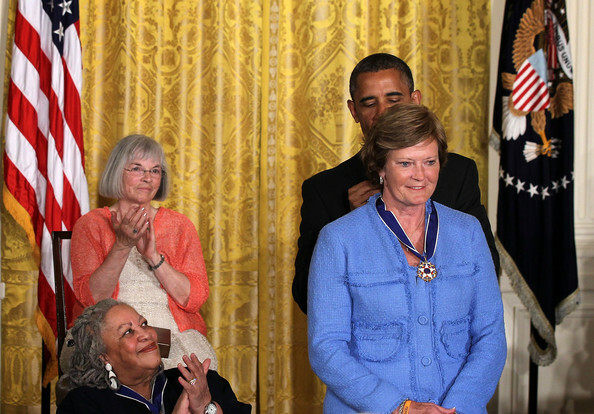 Coach Summitt was an 8 time SEC Coach of the Year, 7 time National Coach of the Year, the Naismith Coach of the Century Award winner and one of only four basketball players/coaches to receive the Presidential Medal of Freedom. 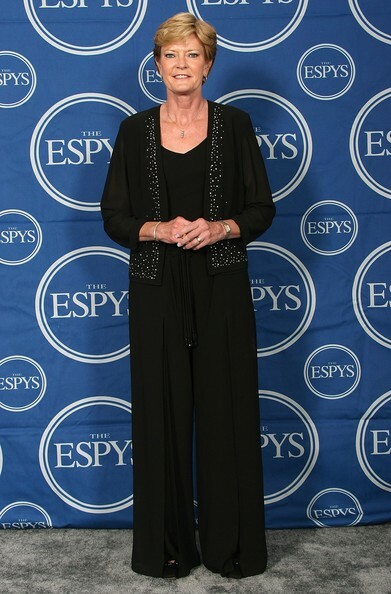 Her 1,098 wins are an NCAA coaching record, male or female. She never had a losing season. Her 1997-98 team, which included Chamique Holdsclaw and Tamika Catchings, went a perfect 39-0. They were 13-0 against ranked teams. Coach Summitt didn’t build up her records taking on cupcakes. She would go anywhere, anytime to face the best teams in the country. And to top all of that off, every player that she coached who fulfilled their entire athletic eligibility graduated with a degree. Every. Single. One. All those lofty records were not why the fanboy in me loved Pat Summitt. As a tennis fan from a young age, I never thought women excelling in athletics was unusual. I never gave a second thought about rooting for sportswomen. I cheered for Chris Evert, Martina Navratilova and Hana Mandlikova the same way I cheered for Arthur Ashe, Bjorn Borg and Ivan Lendl. Being a basketball fan, I wanted to see more women’s games on television. More than that, I wanted to see women basketball players and coaches get respect. Although in tennis it took pioneers like Billie Jean King to push for equality for female players, at least tennis was a sport where women athletes had their highest profile. That’s probably still true today. Pat Summitt is not the only reason women’s basketball has grown to the level it has today, but I would argue hers is the greatest reason. 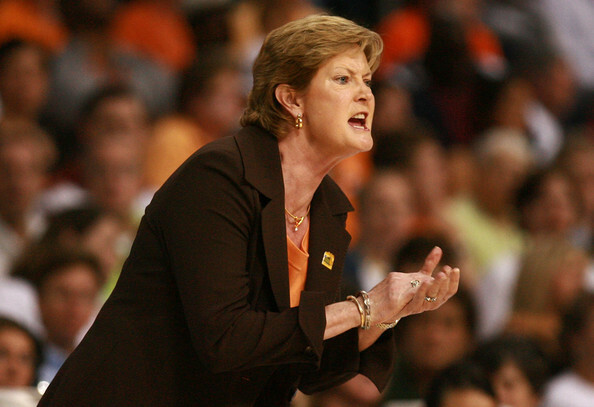 She commanded respect for her players…for all players. Respect. 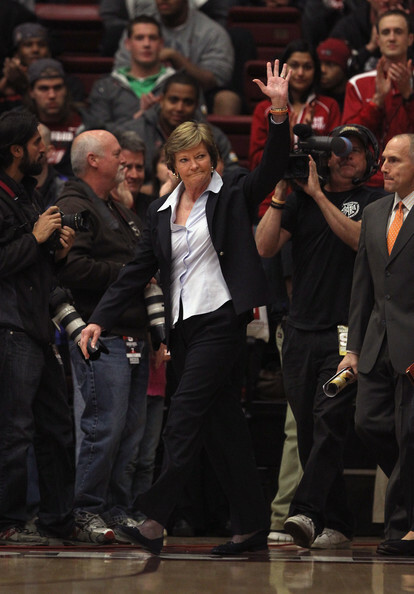 That’s what was missing when Pat Summitt first began coaching women’s college basketball. She changed all of that. Coach Summitt built a women’s basketball dynasty in the heart of southern football country. Long before UConn became the top program in the country, it was Pat Summitt and Tennessee that set the bar for long-term sustained excellence…so much so that people who otherwise had no interest in women’s basketball started to sit up and take notice. I am old enough to remember when women’s basketball in some states was a 6 on 6 game where 3 players were not allowed to cross half court because the patriarchal system considered it too exhausting for women…and let’s face it, in their eyes “girls”…to run the length of a basketball court over the course of a full game. The ascension of Coach Summitt and Tennessee coincided with, in fact was the catalyst for, the rise of the modern women’s game. 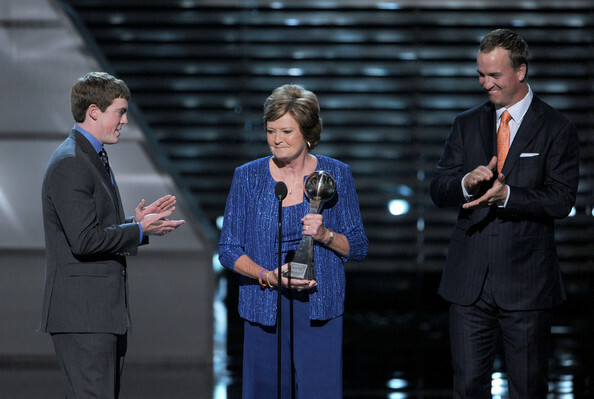 Born Patricia Sue Head, Summitt was her married name…which she kept after her divorce. She has one son, Ross Tyler Summitt. She came into the world in Tennessee and left it in her beloved Volunteer State. In fact, it is said she began having labor pains while in Virginia, but refused to give birth until they brought her back to Tennessee to have her son. With tributes pouring in from players she touched, media members, other athletes like Billie Jean King and even President Barack Obama in the wake of Coach Summitt’s passing, it’s clear she will not be forgotten. The gym at her high school is named after her. So is the UT-Martin gym, where she was a star college player. And the basketball court at the University of Tennessee’s Thompson-Boling Arena is called The Summitt after her. The Women’s College Basketball Hall of Fame is in Knoxville, Tennessee. That says it all. I can say with complete assurance that Pat Summitt will always have a spot in my heart. Rest in peace, Coach. Last edited by bangkokbobby; 06-29-2016 at 08:21 PM. Alzheimer’s is a really crappy disease. My dad had it. I know 2 older people that also had it. Terrible to watch it take over people. Anyway she will always be a coaching legend. I'm sorry to hear that this terrible disease touched loved ones in your life. Hopefully, one day there will be a cure.